The finely textured, sunny foliage of this beautiful "threadbranch" cypress develops vibrant new spring growth that retains its brilliance and shines in the garden all year. 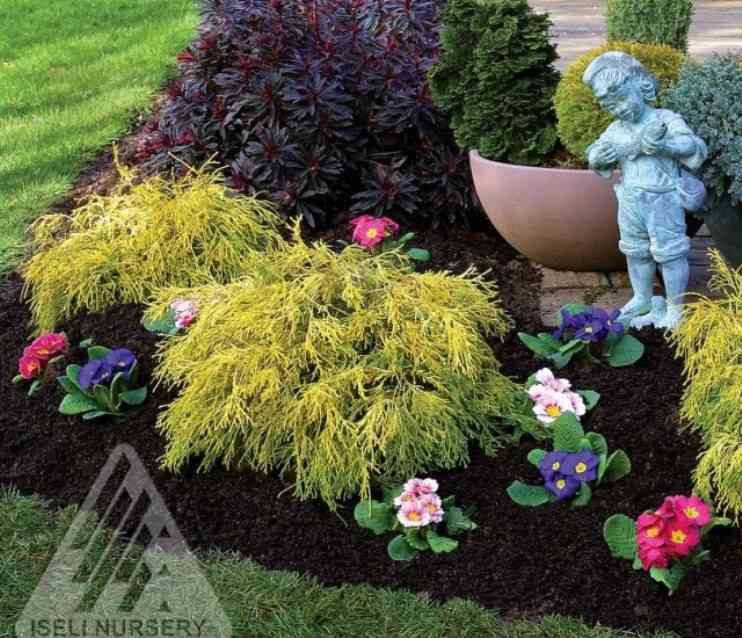 Well-behaved, compact and hardy, 'Golden Mop' is a low, mounding conifer that makes a versatile addition to border, bank or foundation. It produces its best colour in full sun and performs even in areas challenged by heat and humidity. 'Golden Mop' requires little pruning to maintain its shape. It is adaptable to a wide range of soil conditions and will tolerate drought once established. Protection with a shrub wrap (not burlap) from drying winter winds is recommended in exposed locations.